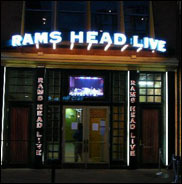 BALTIMORE (CelebrityAccess) — Los Angeles-based promoter AEG Live has acquired the noted Baltimore live music venue Rams Head Live. The 1,500-capacity venue has seen concerts by artists such as Jay-Z, the Beastie Boys John Legend, Florida Georgia Line, & Ed Sheeran, as well as accommodated more than a million guests since it first opened in 2004. The acquisition of Rams Head Live expands on AEG's portfolio of venues in the region, and follows the recent acquisition of nearby venues such as the NorVa Theatre in Norfolk and the National Theatre in Richmond. "After nearly a year of discussions with AEG, we are pleased to announce that the future of the Rams Head Live is in great hands," Rams Head Group founder Bill Muehlhauser said in a press statement. "While it is bittersweet to say goodbye to a facility we built from the ground up, we are excited for our team members who will begin their next chapter as AEG employees."